The number "8" is pronouced as "ba" in Mandarin Chinese. 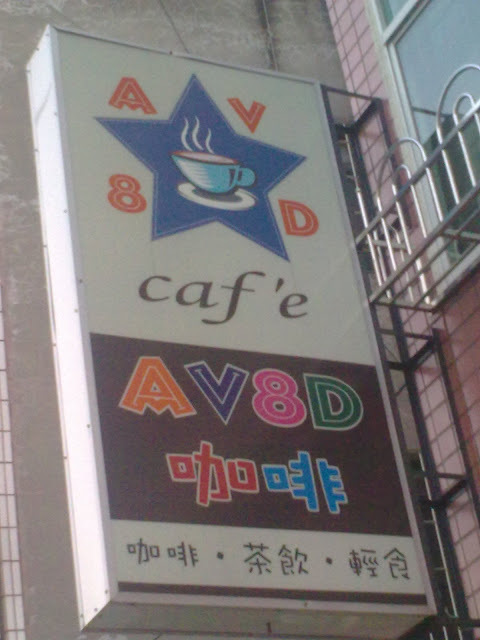 With Chinese accent, "AV8D" sounds like "everybody." When I took this picture, the door was shut. It seemed to me this joint is already out of business.